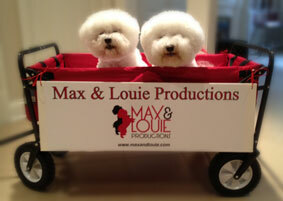 Max & Louie earns 3 nominations for inaugural St. Louis Theatre Circles “Louie” Award! The St. Louis Theater Circle has announced the nominees for the Louie Awards, honoring excellence in professional theater produced here in 2012. The awards will be presented on March 11 at the Gaslight Theater, 358 North Boyle Avenue. A new organization, the Circle is made up of critics who review live, professional theater here. Although these critics may also review touring shows (such as those that play the Fox and the Peabody) or community and college productions, the Louies are designed to showcase the efforts of professional theater artists who create work in this area. About 100 shows were staged here last year, in venues as large as the Muny and as intimate as rehabbed churches.